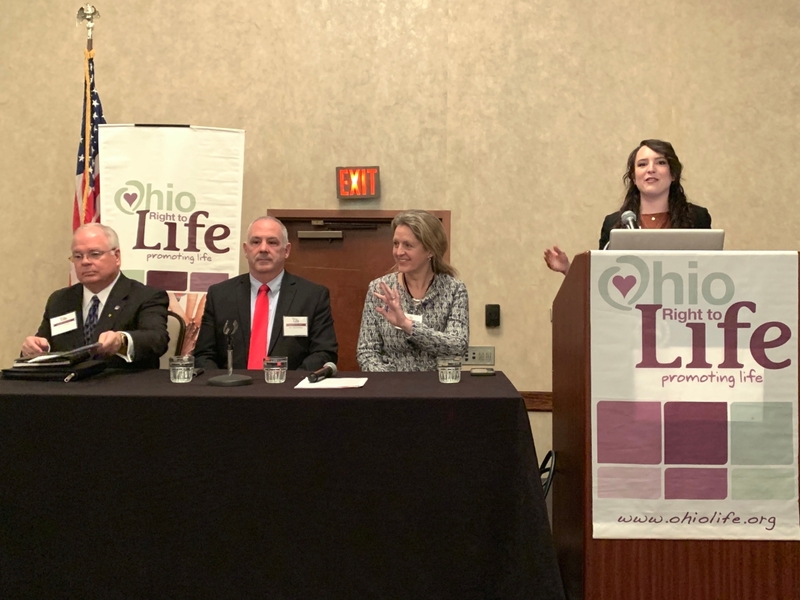 Senator Roegner today joined colleagues Senators Joe Uecker and Steve Huffman on a panel during Right to Life Legislative Day, discussing Ohio's legislative efforts to defend the unborn. COLUMBUS—The Ohio Senate today passed legislation, sponsored by State Senator Kristina Roegner (R-Hudson), which would prohibit an abortion when there is a presence of a detectable fetal heartbeat, affirming the right to life for Ohio's unborn children. "Today we took another important step in saving precious babies and preserving the sanctity of human life, said Roegner. "All of Ohio's children, born and unborn, deserve our respect and our protection throughout every stage of their life." Today's favorable vote for Senate Bill 23, follows the 6th U.S. Circuit Court of Appeal's decision to uphold pro-life legislation from the 131st General Assembly that redirects taxpayer dollars away from entities that perform or promote non-therapeutic abortions. Additionally, the Senate unanimously passed Senate Resolution 41, co- sponsored by Roegner, which urges Congress to pass legislation to protect innocent babies who are inadvertently born alive during an abortion procedure, known as the Born-Alive Abortion Survivors Protection Act. Since 2011, the Ohio Senate has passed more significant legislation to defend unborn children and protect their right to life than at any time since the U.S. Supreme Court's landmark abortion ruling in 1973. Senate Bill 23 will now be sent to the Ohio House for further consideration.